Happy 2018! 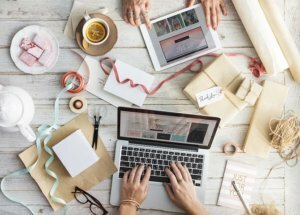 What are your new year’s writing goals? Someone in one of my writers groups asked me, while wishing me a happy 2018. I was shocked to realize I don’t have many. 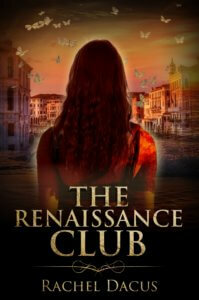 My debut novel launches on January 23 — The Renaissance Club, my time-travel love story, available now on Amazon for pre-order. I have a poetry collection coming out in August — Arabesque, from FutureCycle Press. And I’m finishing the last revision before querying agents and publishers of my new novel, The Romantics. Plus I’m writing a new musical play. For me, 2018 seems to be all about finishing up big projects and sending them off to sail in wider waters, with new readership and audiences. Do you have a book making its debut in 2018? Maybe your writing goals revolve around book marketing — blogging, doing interviews, giving readings, offering giveaways. These all require a lot of writing. But my big 2018 writing goal is to start writing a new novel.